Making our CM Fusion Bolt tablet 32gb or more internal storage will let you store more files, having only just 8gb built-in memory will limit our apps, games, movies, music, and much more. This a easy tweak so don't be afraid, just take note that I will not be responsible for any damage to your tablet, just follow instructions carefully and you'll be fine. Note: It is recommended to delete all your apps first and back up your files, after swapping your internal memory install it again, and copy all files. Install more apps that requires to be installed in internal memory. Speed up your device a little. 2. Right click the card and select format. Under FILE SYSTEM drop down menu, select NTFS. Uncheck quick format, then click FORMAT. This should take around 5-10 minutes. Don't touch anything, let the formatting finish, then safety removal of device. 3. Turn-on your Cherry Mobile Fusion Bolt QuadCore tablet. Open ES File Explorer>>Settings>>Root Settings>Make sure that ALL BOXES ARE CHECKED. 5. Go to /etc. and find vold.fstab copy this and paste it OUTSIDE etc folder. 6. Click vold.fstab (original) and click edit with ES Editor. 8. Power off the tablet. 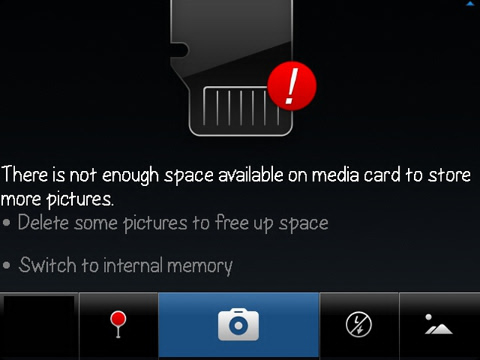 Insert the SD Card. 9. Turn on the device. Check under USB Storage, and check if the size is your MicroSD size. *Open ES File Explorer>>Settings>>Root Settings>Make sure that ALL BOXES ARE CHECKED. *.